When it comes to setting up a website, one of the critical factors to its success is finding the right web hosting service for your requirements. Now, it isn’t quite as easy as being able to say a particular web host is the best out of all of the hosts in the market. This is because the host can only be the best depending on your set of requirements; such is the range of different packages and features each host offers. 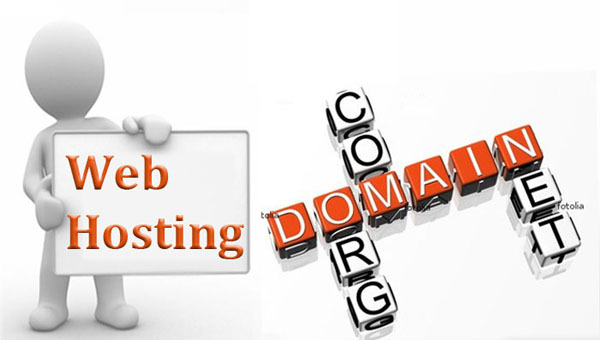 A good starting point for finding the best web host is to define your digital marketing strategy and scope out the website requirements that support your strategy. By doing this right at the beginning, you minimise the risk of selecting a web host that won’t be able to support your future website needs. So make sure you know from the start which direction you expect your website to go in. Do your homework and look at websites that are similar to the type of site you are looking for and when you’re choosing your host, make sure that it has the capability to support that kind of website and the features you want your website to have. When building and hosting your own blog or website was becoming all the rage 10 years ago, cheap web hosting managed to earn itself a bit of a poor reputation in some quarters. But today, in 2016, things are a lot different. 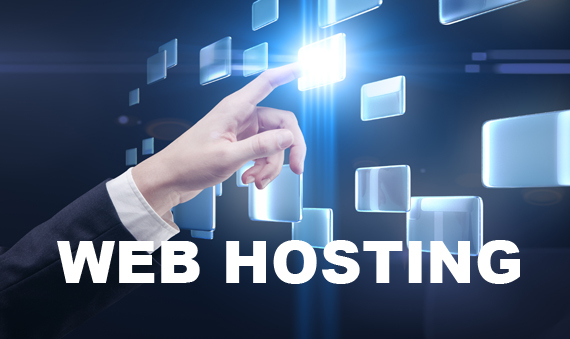 The stigma of experiences people had of cheap web hosting back in the early 2000s still exists with some people today, although the reality is that cheap web hosting is now an incredibly high-performing and competitive market. Due to the number of companies out there offering cheap web hosting, it is no longer enough for providers to offer a poor service with little support. In fact, quite the opposite. With online reviews of cheap web hosting providers freely available, and with the marketplace said to be worth millions of pounds a year, the pressure is on for companies to provide a high-quality produce. One of the major considerations for running a successful website nowadays is not just finding the right price but a host that also provides good blog coverage in their package. Blogging is an integral part of marketing if you want a boost of traffic to your site and add to your online reputation with good, relevant content. According to Business.com over half of consumers who purchase online havesaid that a good blog is a contributory factor in whether they decide to buy or not. With that in mind, it’s no wonder that many small and medium size businesses are investing more of their marketing budget. 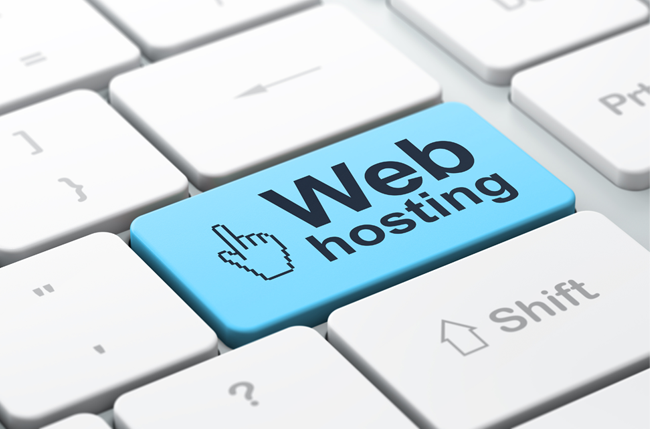 The trick from the very outset, though, is to find a good web hosting company that delivers what you need. 1. Do You Need a Separate Blog Site? The expert opinion on this will usually say that your blog should be part of your main website. The reason for this is that most businesses only have the resources for one blog site and keeping it as part of your online presence (in other words as http://mysite.com/blog) helps to improve overall SEO. A separate blog site basically needs to develop its own SEO, although it can be beneficial in a small way by providing inbound links. Initially, if you are setting up one blog then keep it in-house, as it were. If you later have the resources for other blogs these can be developed as independent entities. 2. What Blogging Software is Available? Most hosting sites now provide different blogging software that is available as part of their packages at the click of a button. That means you can download something like WordPress, B2Evolution or Nucleus all of which are reasonably rich in features and are easy to use. The most popular blogging platform is WordPress and this has a wide range of add-ons that you can use for free. 3. How’s Your Hosting Service with Uptime? There used to be a time choosing a hosting plan was way down on the list of priorities when it came to creating and launching a new website. Back in the day, websites were largely static affairs. More often than not, they existed as a bunch of independent pages designed using an offline editor like Dreamweaver, or even the humble, bare-bones Notepad, then strung together using a series of links. Only once everything looked good and seemed to work fine would website owners hit the ‘net in search of some web hosting. Providing a hosting plan was affordable and reliable enough, there wasn’t too much else to consider. If you found a deal that suited, it was simply a case of signing up, configuring an FTP client, and uploading the site. Nor did web hosting play a particularly big role in the lifespan of a given site. As long as it didn’t experience any major downtime or other serious flaws, users could quite happily manage a site on their local hard drive, FTP any changes, and never even think about logging into their hosting account again until it was time to renew. But of course, that was then, and this is now. As the Internet began to change, so too did the role of top hosting companies. With so many web hosts out there claiming to offer “WordPress Web Hosting” it can be hard to find out the essential and best practice web hosting technical requirements for a WordPress site. 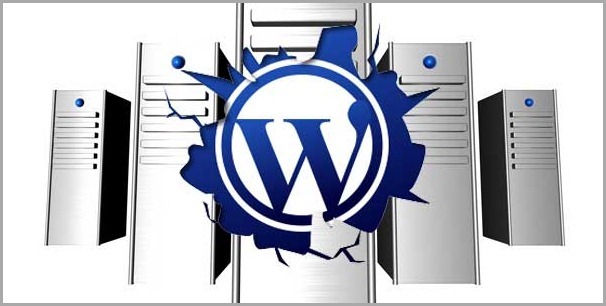 Let’s review the essential and recommended WordPress Web hosting requirements. Hosting a simple WordPress site is actually pretty easy, but very often web hosts don’t routinely offer some of the essential features needed to get WordPress running well, especially when it comes to adding some of the most useful WordPress features and plugins. When you do run into a problem with your WordPress site caused by inadequate web hosting configuration, it can be really difficult to troubleshoot the cause of the hosting problem, because when you are with a shared web host (99% of WordPress sites are on shared hosting for economy and convenience), because you aren’t ever told what the technical specs of your server are, and it can be hard to find reliable information about the best WordPress hosting server configuration. To help you identify the best WordPress hosting, we’ve prepared a list of the minimum WordPress Hosting Requirements and also added a second list with the “nice to have” WordPress hosting options. This is by no means exhaustive, and reflects our own (extensive) experience installing, running, tweaking, troubleshooting and optimising WordPress sites on a wide range of WordPress web hosts, including popular shared international web hosts like Hostgator (Shared, Reseller and VPS) as well as more specialised US, EU and Australian web hosts. You definitely get what you pay for with WordPress web hosting. Don’t expect high quality hosting for much under $10-20 per month. “Unlimited” hosting is a marketing term: any hosting claiming to be unlimited is likely to be extremely limited in the most critical resources: memory and CPU. One thing you will notice as you start to pay more for hosting is that the limits of memory, CPU, disk space and bandwidth are more clearly stated. Australian web hosting will cost more: Australian infrastructure is still more expensive to provide and the economies of scale aren’t there (yet). In our experience though, Australian web hosting is worth the extra price, especially if your market is Australian. If most of your visitors are from the US or EU, then go for web hosting there. WordPress support isn’t included with your web hosting. For that you should rely on the WordPress.org support forums or your web designer. Exceptions to this include some managed wordpress hosting providers. Whether you’re trying to run an online business or you just want a dedicated platform from which to spread your message to the world, one thing is clear: you have to make sure that you get quality web hosting! Yet does quality have to mean that you’re spending more money than you anticipated? Not at all. What you have to do is make sure that you have a few considerations out of the way. The first thing that you have to look for would have to be reliability. In other words, is this going to be a web hosting company that can keep your site running for the long term, or are you going to be subjected to a lot of unplanned downtime? There’s no way to have 100% uptime these days, not without shelling out heavy fees for a nearly round-the-clock server setup that automatically falls back to a secondary server when the main one has scheduled maintenance. But they can get as close to 100% as possible through smart administration. Reliability is nothing without speed, because if your visitors have to wait a long time before they can view your site, then it’s not going to be worth it to them. They’ll feel free to go somewhere else, because you didn’t deliver their expectations. Sure, cost is a factor when you have to think carefully on your web hosting. If you’re going to run a successful business online, you want to make sure that you have a quality server that will meet your needs. Some cheaper web hosting packages will be sufficient for your business needs so spending a lot on a dedicated option isn’t always required. If you can’t afford that server, then you won’t be in business for very long. Dig deep into your business plan and then ask yourself an honest question: how much are you willing to spend? You may get a discount if you go with a yearly subscription instead of a monthly one. Looking at how much space you get is going to be super important. Just as you don’t want to have so much space you waste it, you don’t want to struggle because your limits are so small. One of the biggest factors is bandwidth, along with storage space. Some popular CMS software such as wordpress require minimum server specifications but it’s more down to the traffic, images and any videos that’ll be the biggest demands for your server. If you’re running a small collection of sites, you’re not going to need as much space as someone that wants a high-volume blog network. Make sure that you look at what you want to achieve through the site or sites, and then shop according to those goals. And if you have questions, don’t be afraid to ask them! Support matters big time, because when something goes wrong you don’t want to wait forever for a fix. Will the support team be able to tell you where your backups are kept, or is that something that you’re going to have to hunt around for on your own time? It just depends on the company that you pick. Demand for web hosting is on the rise, with specific spikes in the cloud hosting sphere and in dedicated hosting packages. Yet if you study these tips well, you’ll be able to find hosting for all of your personal and professional needs.